Mr. Rubin is recognized for his unbiased, hard-core, technical assessments of proposed projects, as well as for his expert advice on geologic, hydrogeologic and environmental issues. His reports and affidavits regularly provide the solid, real-world, foundation used by attorneys to advance environmental litigation. Typical project work includes geologic and hydrologic assessments of pipelines, water supply, groundwater wells, karst aquifers, springs, watersheds, natural resources, flooding, wetlands, gas wells, waste sites, contaminant migration, land development proposals, mine proposals, cell tower proposals, and property evaluations. Mr. Rubin's attention to detail commonly results in exposing flawed and critically missing elements of projects that were overlooked by other experts. Consideration of these elements has often resulted in positive changes to proposed projects prior to approval, benefiting both client and the public. Depending on the project, these technical details have resulted in project modification, downsizing or cessation. Mr. Rubin assists in identifying issues and developing strategies designed to protect groundwater and surface water resources, community character, historic sites, and wildlife habitat. His rigorous analyses have been instrumental in resolving homeowner and insurance company disputes. He routinely uses GIS technology to analyze, interpret and graphically portray data, findings, and concerns in reports, presentations, and affidavits. Mr. Rubin's clients include numerous environmental groups, neighborhood groups, land trusts, law firms, business associations, towns, insurance companies, Trout Unlimited, Sierra Club, Pipeline Safety Coalition, Delaware Riverkeeper Network, a fire department, and individuals. Recently, Mr. Rubin conducted a geologic analysis of the cause of failure of a granite monument dedicated to the heroes of United Air Lines Flight 93 who died on Sept. 11, 2001 while under attack by terrorist hijackers (inferior construction methodology). 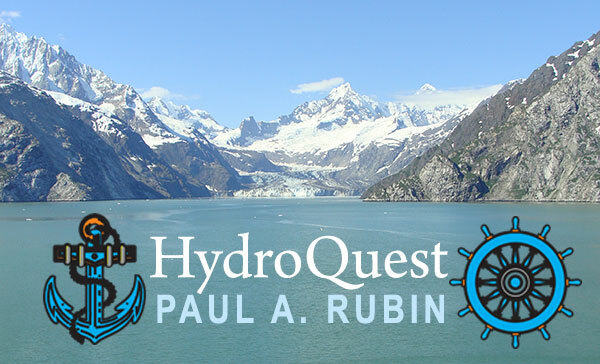 Paul Rubin, President of HydroQuest, has 37 years of professional geologic and hydrologic experience. This includes working for the NYS Attorney General's Office (Environmental Protection Bureau), NY City Dept. of Environmental Protection, and Oak Ridge National Laboratory. 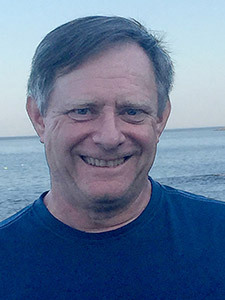 He obtained his Master's degree in Geology from the State University of New York at New Paltz in 1983. His major fields of study included hydrogeology, water quality and pollution, structural geology and photogeologic interpretation. His thesis topic was Hydrogeology and Structure of the Shawangunk Mountains, Ulster County, NY. He advanced this work to include key empirical hydrologic data and testimony used to document that a mountaintop lake could not sustain a large planned development with a hotel and hundreds of condominiums. This was instrumental in the creation and protection of what is now Minnewaska State Park Preserve. This preserve has grown to 22,275-acres with four lakes, miles of carriage roads, and one of the best examples of ridgetop dwarf pine barrens in the world. HydroQuest has conducted major hydrologic assessments in many other areas, including watershed delineations in the Black Creek, Sandburg Creek, Basher Kill, Green Kill, Shawangunk Kill, Wallkill River, Delaware River, and Neversink River drainages. As an example, the Town of Mamakating is using Mr. Rubin's hydrogeologic assessment and watershed delineations in their comprehensive land use planning process.